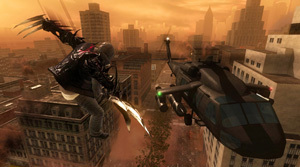 Vancouver – Activision Publishing, Inc. announced today that Radical Entertainment’s highly anticipated video game PROTOTYPE has shipped to North American retail outlets, and additionally will be available at European retailers on Friday, June 12. With early critical acclaim, including a 9/10 review from PSW Magazine, the genetically mutated Alex Mercer is set to deliver a powerful, action-packed gaming experience as players begin to unravel his dark, conspiracy-ridden past and become the ultimate shape-shifting weapon! We’ve been trying to get a close-up hands’ on view of this game for months and months – we’re definitely looking forward to finally getting to play this new IP title from Radical. 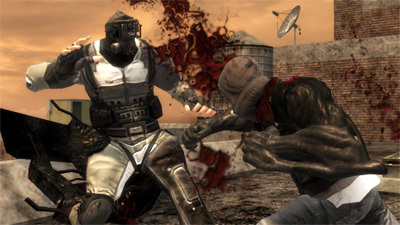 PROTOTYPE is available for the Xbox 360® video game and entertainment system from Microsoft and PLAYSTATION3 computer entertainment system for a suggested retail price of $59.99, and for Games for Windows® for $49.99, and is rated “M” (Mature – Blood and Gore, Intense Violence and Strong Language – content that may be suitable for persons ages 17 and older) by the ESRB. This entry was posted on Tuesday, June 9th, 2009 at 7:53 am and is filed under Action Adventure, Mature, New Releases. You can follow any responses to this entry through the RSS 2.0 feed. You can leave a response, or trackback from your own site.